Having enjoyed Written in Bone: Buried Lives of Jamestown and Colonial Maryland by Sally M. Walker in summer, I was excited in fall when I found a review of a forthcoming book by the author in Booklist. 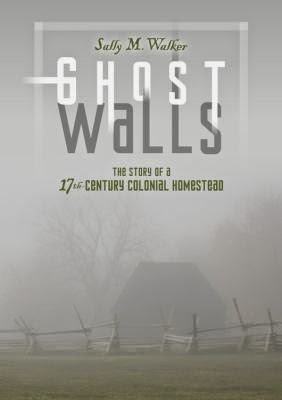 Seeing that her new book would also be about a site that some of my ancestors called home, I resolved to read Ghost Walls: The Story of a 17th Century Colonial Homestead. I made a copy of the review and kept it on my desk until the title appeared in our library system catalog. 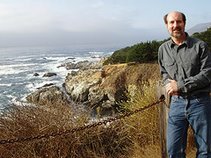 Walker's first book on Colonial America dealt with forensic archeology and recounted stories that the bones of colonists told about how they lived and died. Her attention to stories remains the same in Ghost Walls, in which she describes a decades-long archaeological investigation focused on an important colonial building, the house built by John Lewger outside St. Mary's City in 1637. Instead of bones, the archaeologists seek architectural clues in the colors of dirt, as well as in artifacts and pollen counts. Being the provincial secretary of the St. Mary's colony, Lewger built its largest home on a property he named St. John's. Its parlor served not only as his family's living area and bedroom, but also as the assembly room and courtroom for the colony. Before the 17th century ended, the house was sold several times and remodeled. It was finally an inn before being abandoned around 1695. Walker tells stories about each owner and family. Walker also tells a contemporary story along with the history, recounting the effort from 1962 to 2008 to preserve the site and build a museum. Aimed at late elementary and middle school readers, Ghost Walls is a compact and informative tribute that will interest any one who enjoys good period history. Walker, Sally M. Ghost Walls: The Story of a 17th Century Colonial Homestead. Carolrhoda Books, 2014. 136p. 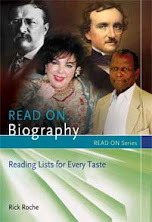 ISBN 9780761354086. Thanks for this suggestion--not a book I would have found otherwise, I don't think, but you've made it sound appealing! I hope you enjoy it, CR.